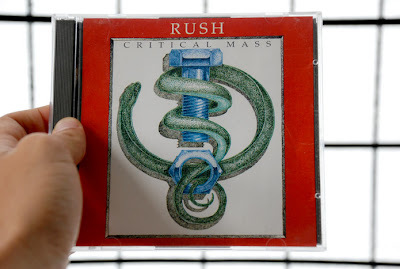 here's the ouroboros-ish cover of a Rush bootleg CD that I actually illustrated the cover for back in 1996, as part of a slightly shady association I had with a dude who ran a bootleg label. OK, it's not really an ouroboros, but it's kind of close! Maybe sort of part ouroboros, part caduceus?" So it’s your basic Michael Moore movie. It may be looked at that way. I wanted to make it like a film equivalent to a W.G. Sebald book, where he sets out on a stroll and ends up digressing and winds up in a really interesting place. It doesn’t matter whether Sebald really went on the stroll or not, he’s managed to cobble together a wonderful trip, and you realize the landscape that he covered with his feet doesn’t matter as much as the landscape of his heart.